Universal Credit is going live for new claimants in Leighton Buzzard from Wednesday (November 21) and the town’s Citizens Advice office is bracing itself for an influx of queries from concerned residents. 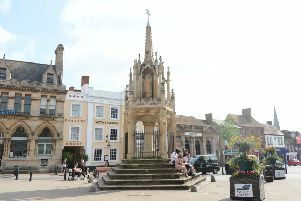 Tabitha Park, Chief Officer, at Bossard House-based Citizens Advice Leighton Linslade says staff have been undertaking training and preparing for the inevitable challenges and extra work associated with the launch. Citizens Advive says it agrees with the principle of simplifying benefits but has been concerned by teething problems associated with the roll-out in other parts of the country which has left many claimants in difficulty and hundreds of pounds worse off – despite extra funding in the Budget for Universal Credit. Nationally, they report that lots of people have had trouble providing the evidence needed and have found the system complex, with 25% of those coming to Citizens Advice spending more than a week attempting to fill in the forms. It is only new Leighton Buzzard claimants that will be affected from this week. A date is not yet known when existing claimants in the town will be migrated over from housing benefit, child tax credit, income support, income-based jobseeker’s allowance (JSA), income-related employment and support allowance (ESA) and working tax credit. Although getting prepared for the extra enquiries anticipated with the go live date for new claimants, Citizens Advice Leighton Linslade says once existing claimants start being transferred to the new system it will make an even bigger difference to its workload. Mrs Park said: “Universal Credit is the biggest-ever change to the benefit system, so it’s important people get support while they get used to it. “We can help at every stage of the process – from guiding someone through the online application form, to offering budgeting advice and helping people best manage their monthly payment. The number of clients seen by the Leighton Buzzard office has remained fairly steady year on year, but the number of issues dealt with is increasing as clients have increasingly complex situations. Top advice areas remaining benefits and debt, with many of the debt issues relating to Council Tax arrears and many benefit issues being around disability benefits.